Anatolian peninsula witnessing the adventure of mankind on earth because of its convenient geographical location, fertile and available lands is one of the places where first religions and belief systems have come into being. While most of Europe experienced ice age, mankind had already taken Anatolia as his fatherland, adopted permanent settlement and began to cultivate and harvest the land and domesticate the animals and form settlements, villages and cities composed of eight-ten hundred people. The fact that these lands are called Anatolia does not lack any reason. 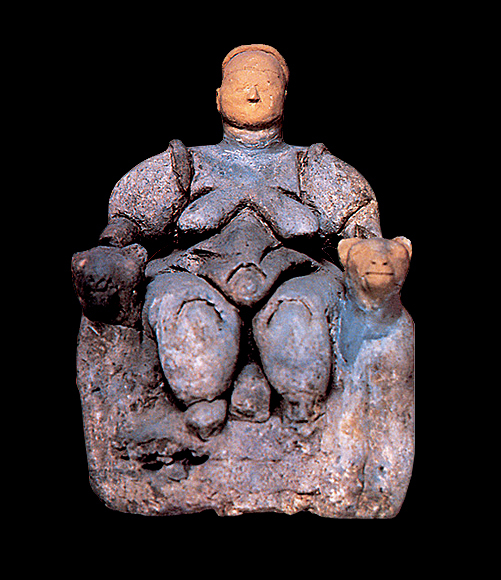 This geography has wrapped mankind with affection, pity and protection such that maybe because of this archeological findings show that woman representing fertility and creativity have been considered holy in Anatolia since ancient times and that the first cult here was the cult of mother goddess. Anatolia which connects continents to one another and forms a bridge between these continents serves as a bridge between cultures and beliefs at the same time. While each side of Anatolia takes on a lively note with various belief systems, religions, faiths and new versions formed as a result of these mutual interactions, these religions and faiths were reflected on art and architecture on the other hand. The neighborhood of the settlement is full of holy places where religious rituals are performed, altars, sacrifice and vow places, open air temples, monumental temples that are a wonder of nature and monumental graves. Since the beginning of the history of mankind, religion and faith were among the most important subjects. Therefore, holy places were formed in every place of Anatolia, inside and outside of cities, at mountains and in valleys and the most splendid and interesting constructions have always been religious constructions. Among the first works discovered during archeological excavations are materials and goods used during religious rituals and monuments of gods and goddesses. 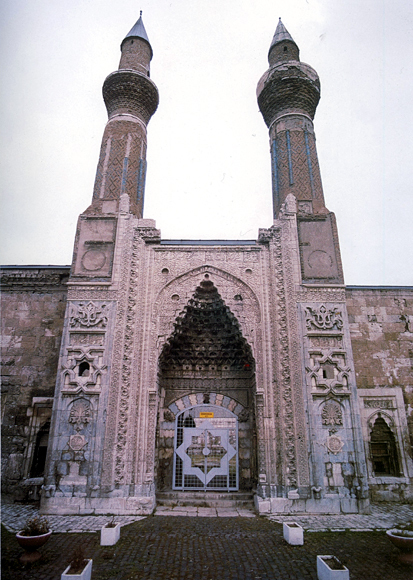 Two of Seven Wonders of the World are in Anatolia and these are religious constructions. One of them is Artemis Temple in Ephesus constructed by Lydia King Kroisos between 560 and 550 BC and known as Artemision. The other one is Mousolos Monumental Grave in Bodrum constructed between 377 and 358 BC. The monumental grave made to be constructed by architect Pytheos by Artemisia, the wife of Governor of Caria, namely, Mousolos, for her husband was so splendid that all monumental graves constructed after that date began to be named as mausoleum. 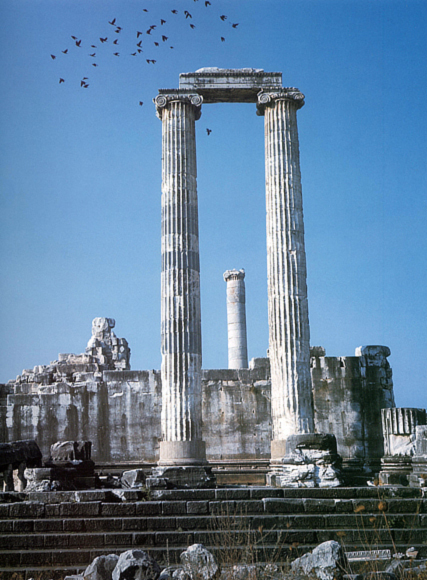 The magnificent temple in Didim of Apollo was one of the sacred places in the antique period. And Aphrodisias dedicated to goddess of love has a museum composed of cream buildings and unique marble monuments worth seeing. Monumental grave and open air temple which was constructed by Commagene King Antiochos I who reigned between 69 and 36 BC and which is at a height of 2150 above sea level on the peak of Mount Nemrut nearby the town Kahta in Adiyaman amazes everybody and takes place as the eighth wonder of the world in some sources. Sacred places and religious constructions that are reflections of religious beliefs on art and architecture were not only places for worshipping but also social places where religions had been taught and where the folk had gathered since pagan culture. Therefore, the most splendid religious constructions are located generally in the centrum or places nearby the centrum. This understanding continued in the next societies. Though belief systems have changed, the locations of religious constructions and sacred places have not considerably changed and holy places of societies that followed each other continued to be used by the next societies and for most of the time churches adored with New Testament scenes and mosques later on were constructed next to or nearby pagan temples and even on their foundations. For example, popular Haci Bayram Mosque, one of the significant religious centers in Ankara, was built next to an old Byzantium Church and this church was built instead of August Temple. At the same place, the remains of old temples and altars can still be seen. 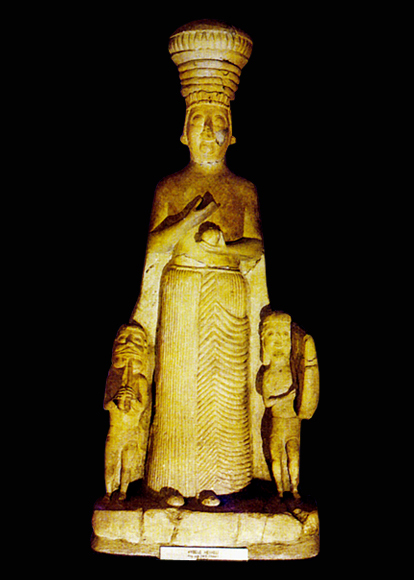 As it is known from the archeological excavations the first cult of Anatolia is known as the cult of “mother goddess”. This cult continued sometimes under different names (Kubaba, Kybele, Artemis, Venus etc. ), effecting all societies living in Anatolia. 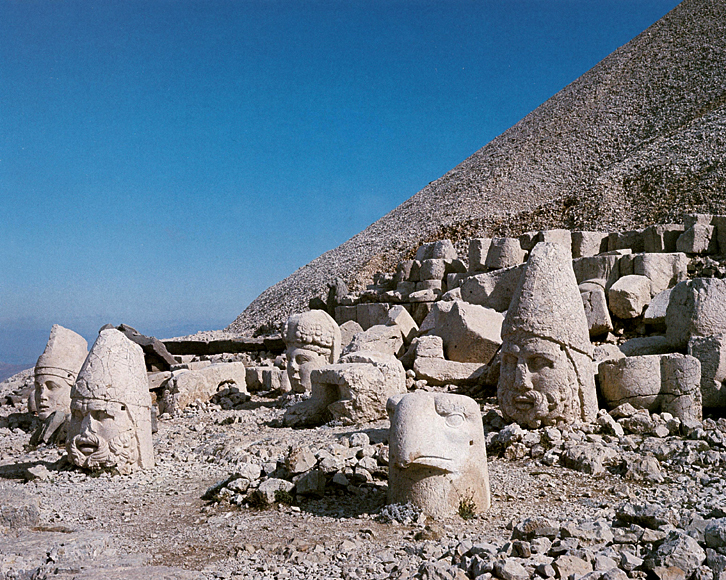 Afterwards, religions with multi gods prevailed in Anatolia. 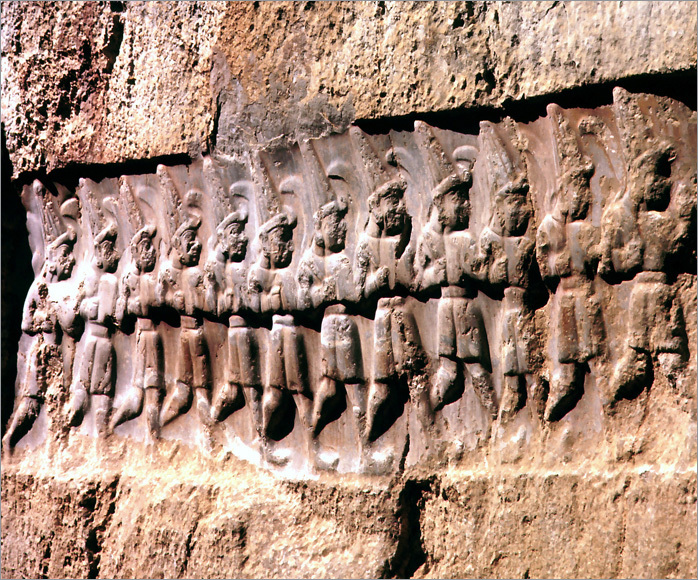 The Hittites, who were a peaceful nation, adopted the gods of societies where they lived and who they ruled as their own gods as well as their gods and they thought that they would gain the sympathy of these people and they would protect themselves from the wrath of gods by this way and they described themselves as “a nation with thousand gods”. 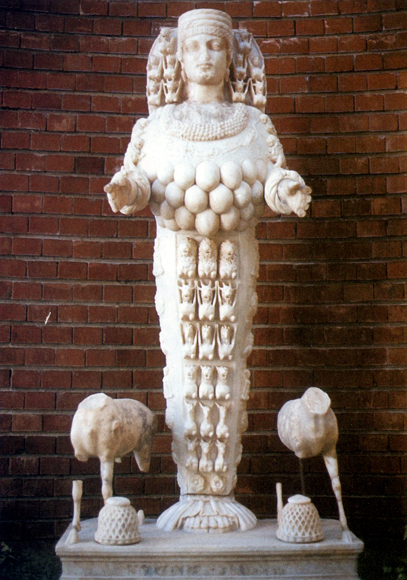 Anatolia has a great importance in the emergence and spreading of mono-god religions. According to holy books of mono-god religions, when Naoh (Alaih Assalaam), considered as the second ancestor of mankind, was in search of a country and fatherland for himself after the Great Flood he was able to strand his ship on one of the high mountains and to step on land again in Anatolia. The name of the mountain where the ship of Prophet Naoh was stranded is Ararat in Eski Atik and Cudi in Koran. However, there are no other mountains bearing these names, except in Anatolia, in the world. There are two mountains called Ararat (5137 meters) and Cudi (2114 meters) that are not far from one another only in Anatolia. Ibrahim (Alaih Assalaam) considered as a father by Muslims, Christians and Jewish (the father of both faiths and religions and nations), who called for serving for only one god and continued this struggle at the risk of being thrown into fire was also from Anatolia. He was born in Sanliurfa and lived in Harran and traveled to Egypt and Palestine. 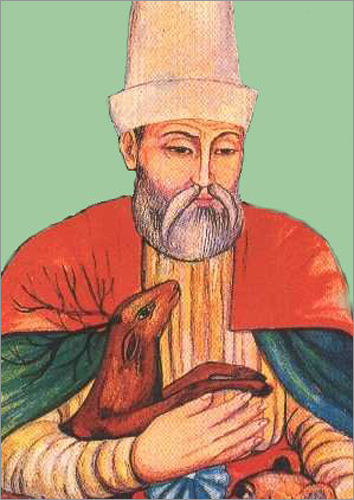 Ibrahim (Alaih Assalaam) adopted a mono-god faith on Anatolian lands and began his struggle in this way which God exemplified for the next generations in holy books and he was saved from hostilities to being thrown into fire and the fires into which he was thrown did not burn him down and changed into a garden of heaven. According to the Old Testament, Prophet Ibrahim was born in the city Ur in the Kalde Region. 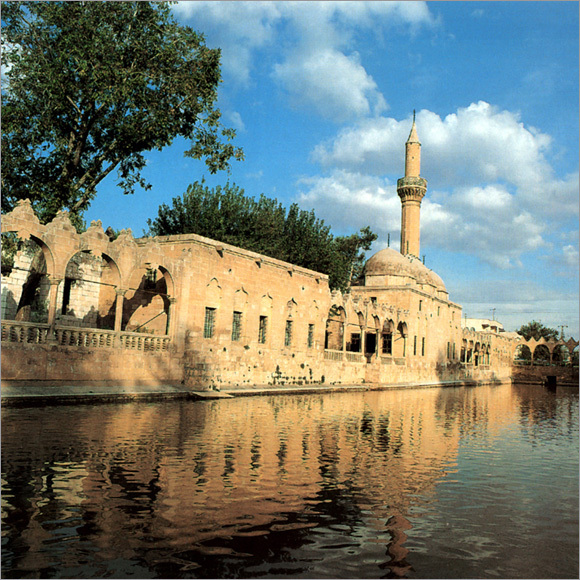 The first name of Sanliurfa which is not far from River Euphrates on the southeast of Turkey was Ur. Ibrahim who was born in Ur (Sanliurfa today) lived here with his family for many years. Afterwards, they migrated to Harran (the House of the Patriarchs) under the will of God. Tera, the father of Ibrahim died in Harran. Prophet Ibrahim had two sons, one of whom, Ishak, was from his wife called Sara and the other of whom, Ismail, was from his wife Hacer. Then Prophet Ibrahim took his wife Hacer and his son Ismail to Mekke. Prophet Mohammed descended from Ismail. According to the Old Testament, the son of Ibrahim, Ishak, got married to Rebecca who was from Harran in Harran. Rebecca was also the granddaughter of Nahor, the elder brother of Ibrahim. The family knit one another more closely in the next generation in order to remain strong. Rebecca gave birth to twins whose names were Esay and Yaqub. Ishak told his son Yaqub to return to Harran, the place where the house of his mother’s father, Bethuel, was situated and to find a wife among the daughters of Laban, the elder brother of his mother to get married to. Yaqub who was in the journey to find a spouse met shepherds grazing their ship around a well. Among them, there was Rasel, the daughter of Laban, who would be the wife of Yaqub by fate. The well where they first met each other is known as “The Well of Yaqub”. Rasel and Yaqub had a son and they named him Yusuf. Musa (Alaih Assalaam), Davud (Alaih Assalaam) and Jesus Christ descended from Yusuf (Alaih Assalaam). That is to say, they had Anatolian roots. Sanliurfa known as the city of prophets and Jerusalem of Anatolia is a center where many religious constructions and commemorates such as the cave where Ibrahim (Alaih Assalaam) was born, the Office and Lodge of Prophet Eyub (Alaih Assalaam) who was patience of job, Suayip City, Balikli Gol (Fish Pond) coexist. Anatolia has been the fatherland of many prophets like Ibrahim (Alaih Assalaam) who called mankind to believe in and to serve only one God and many saints who followed them and continued their calls. After Prophet Mohammed (Alaih Assalaam), most of his close fellows arrived Anatolia and stayed here for a long time and conveyed Islam and some of them died here. The graves and offices in various parts of Anatolia are still visited with a great respect. It can not be put forward that there were no struggles between different faiths and belief systems passing through Anatolia. However, Anatolian land embraced and surrounded all of them with a great affection and tried to protect them against the wrath and grudge of one another. The lava sprayed by Mount Erciyes and Hasan in the neighborhood covered a vast area with tuff-land in the Cappadocia Region in the middle of Anatolia. This soil structure which is easy to dig and which gets solid immediately after it is exposed to air has always been a reliable shelter for those who had to run away from grudge and hostility of each other. 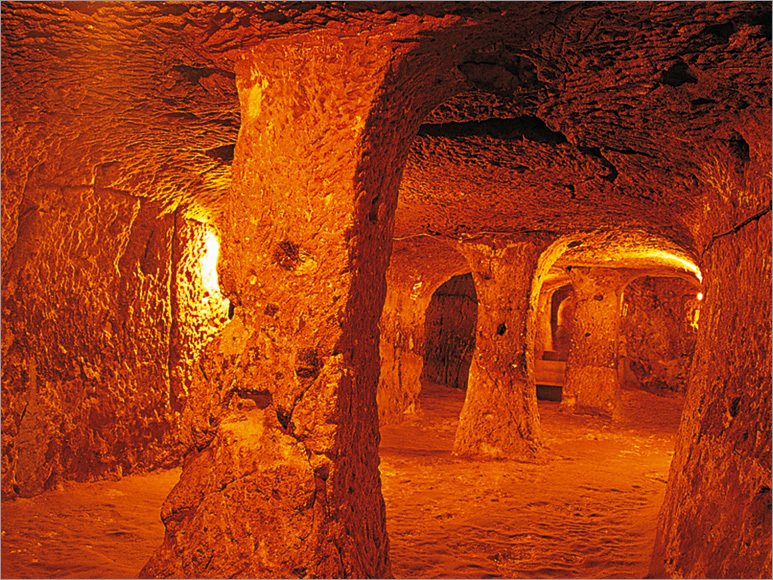 People have formed shelters, harbors and even underground cities here since ancient times. Among these underground cities there are ones that go toward the underground for 7-8 times and have the facilities and capacity that would enable tens of thousands of people with their animals to hide. Cappadocia served as an important shelter and harbor for those who believed in Christianity at a forbidden period exceeding three centuries when Christianity was a crime and those believing in this religion faced prosecution and condemned to heavy penalties. Christianity maintained its existence and developed at monasteries, rock churches and underground cities that were secretly founded. Without this contribution and affection of Cappadocia, that is Anatolia, maybe Christianity would not exist today. Anatolian lands are so tolerable and affectionate to religions, beliefs and believers that most of the prolonged miraculous protections toward those with faiths explained in holy books took place here. 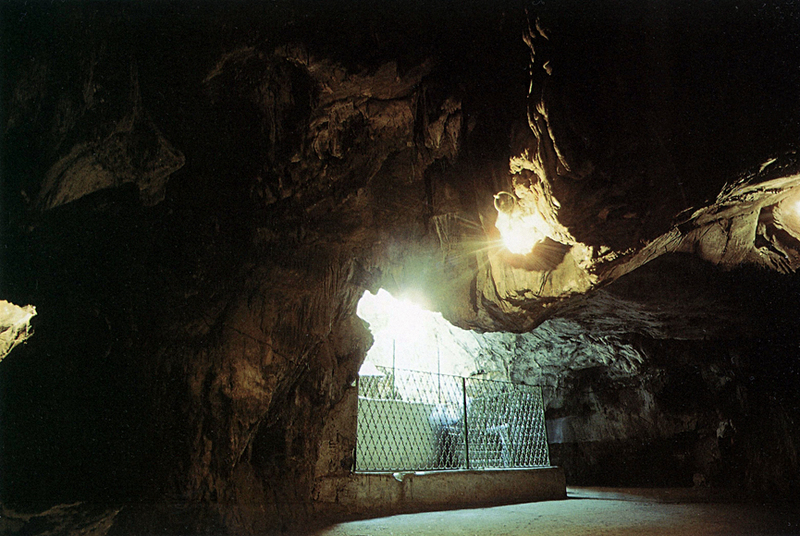 For example the cave which fellows who fled as they faced prosecution because of their faiths and took shelter in were asleep for more than three centuries with the power of God and they were woken up again at a time when faiths were free as stated in Koron (the eighteenth sura, Kehf Sura, Verse: 9-26) and Christian sources is also in Anatolia. There are various sayings about the location of this cave where these fellows called Ashab-i Kehf were hidden. However, Ashab-i Kehf caves in Tarsus, Ephesus or in Afsin are the most popular of them. Christianity which was forbidden and faced prosecution at the beginning was able to find good-humored people with real faiths who surrendered the call of God at the expense of their lives. According to a hearsay, at first two and then three ambassadors arrived Antakya and called the folk to the new religion conveyed by Jesus Christ. When the folk who did not believe in them and blamed them for telling lies was about to kill these ambassadors, a man comes running from the other edge of the city. He told that he also believed in and called the folk to believe in these ambassadors. He puts forward many reasons to believe them and tried to persuade them but no one listened to him and he was killed by being thrown stones. 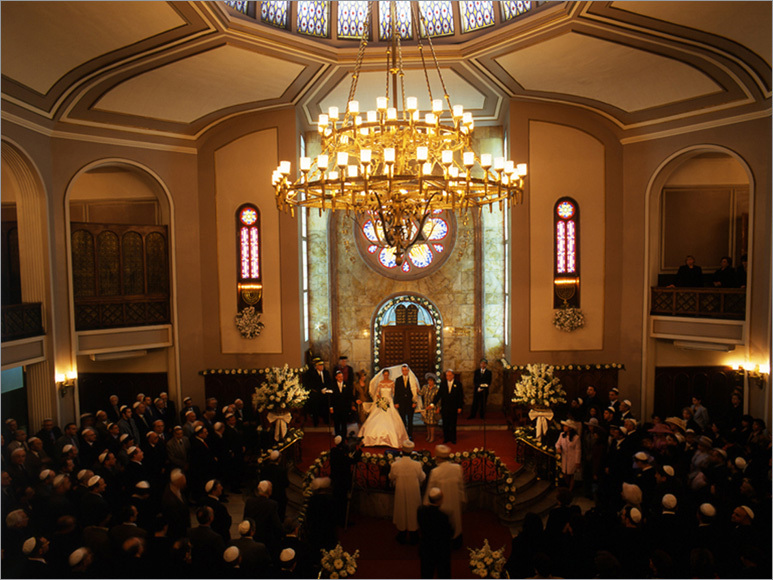 This event takes place extensively in Yasin Sura (Verse: 13-27), the 36th Sura of Koran, without naming. It is said that he was Habibi Neccar who was a carpenter and who lived on by making idols and he walked in Antakya street for two days after his death with his cut-head in his hands. The name of Habibi Neccar was given to the splendid mountain against which the city Antakya lain and the fist mosque was constructed on behalf of him by Muslims. Many significant occasions about the emergence and development of Christianity took place in Turkey. Saint Pierre Church formed by closing the front side of a natural cave with a wall and changing it into a place of worship at a distance of 2 km to Antakya is considered as the first church and the first patriarch of Christianity on earth. Christians began to be named as Christians for the first time and baptized here; therefore the religions were named here. St. John, St. Paul, St. Peter of 12 Apostles of Jesus Christ arrive Anatolia and lived here and tried to spread their religions. It is believed that St John of the Apostles took Virgin Mary to Ephesus after Jesus Christ. The simple stone house where Virgin Mary spent her last days was announced as a sacred place in 1967 by Vatican. Ephesus (Efes), Smyrna (Izmir), Pergamum (Bergama), Thyateira - Manisa (Akhisar), Sardes - Salihli- Manisa, (Sart), Philadelphia - Manisa (Alasehir), Laodicea - Denizli (Eskihisar), 7 holy churches that took place in the last apocalypse book of New Testament, are also located in Anatolia. Christianity became an official religion in Anatolia for the first time. The first ecumenical council where the belief systems of Christianity were discussed and decided met in 325 AD in Iznik. The first eight meetings of ecumenical councils of 19 Ecumenical Councils that have taken place since that date was carried out in Anatolian lands. Saint Nicholas who traveled all over the world and made children happy with his gifts at every Christmas night was also from Anatolia. 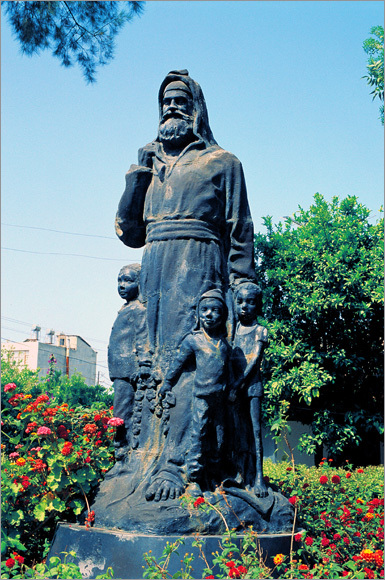 You can arrive Demre (Antalya, Kas), where he served as the chief bishop and was killed, and visit him. You not only visit a traveler who traveled and liked the most with pleasant presents every year in the world but also give yourself a holiday that you cannot forget in one of the most beautiful holiday resorts in the world. All sides of Anatolia which is very meaningful for Islam and Muslims are full of memories, constructions and monuments of a radical history over a thousand year. One of the places that Islam occurred on the scene with a great dynamism and vividness was directed toward was Anatolia. Anatolia opened its heart and arms also to this religion as much possible as it was. One of the most significant objectives of Muslims was to conquer Istanbul and made it the center. Muslims besieged the city after they arrived Istanbul after 36 years after the death of Mohammed (Alaih Assalaam) (632), that is to say in 668, for the first time. Halid ibni Zeyd (Ebu Eyyub el-Ensari) at whose house Prophet Mohammad (Alaih Assalaam) stayed during the hegira to Medina and who carried the flag also took part in this first siege lasting to the spring of 669 and died a martyr at the gates of Istanbul with some fellows who were able to speak to Prophet Mohammed. Muslims tried to make Istanbul as Islambol for centuries and besieged the city 18 times in various periods until it was conquered in 1453. 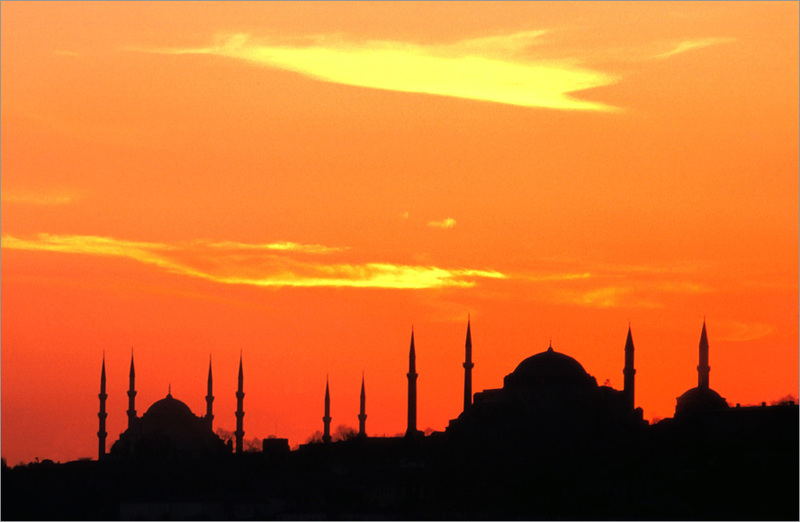 Istanbul has a special place in terms of faith tourism. Istanbul serving as a spiritual and religious center for Christians and Muslims for centuries is a city of domes and minarets. Istanbul has the most breathtaking silhouettes of the world with wonderful palaces, extraordinary domes and historic mosques around 500 and splendid minarets that are in harmony with nature. Hagia Sophia Church which used to be the biggest and the most splendid religious construction and center of Christianity for centuries and where coronation ceremonies of Byzantium Emperors were held is in Istanbul. Ottoman padishahs fastened swords on their waists when they became emperors. 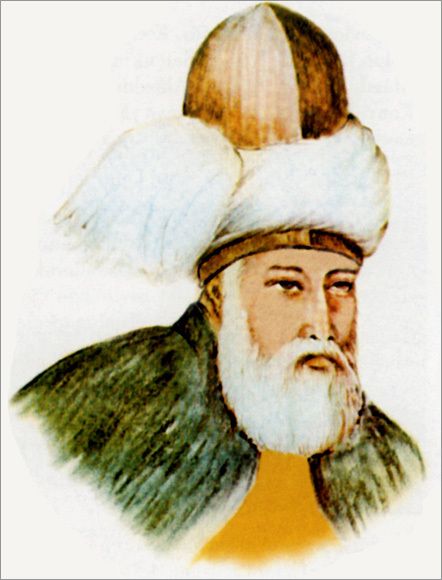 During the time when Mamluks rule in Egypt was put an end by Yavuz Sultan Selim, the duty of Caliphate which meant spiritual leadership of all Muslims was taken over from the last Abbasi Caliphate living in Egypt to Yavuz Sultan Selim and therefore Ottoman had the responsibility of being the spiritual leader of Islamic world. So, Istanbul which used to be the spiritual capital city of the Orthodox Christian world till that time officially became also the spiritual capital city of Islamic world after 1517. One of the concrete proofs of this spiritual leadership continuing till 1924 was belongings which are kept in “Pavilion of Holy Relics (Hirka-i Saadet Dairesi)” in Topkapi Palace and which belonged to the Prophet Mohammad (Alaih Assalaam) and his relatives and other prophets and Kaaba and which have been painstakingly preserved by Islamic Caliphates for centuries. These belongings are called “Emanat-i Mukaddese” or “Emanat-i Mubareke (Holy Relics)”. Holy relics were partially given by Mutevekkil (someone who surrender to fate) III God who took over the Caliphate to Yavuz and partially by Emir Ebu Numey who arrived Cairo and handed in the key of Makka and Medina. 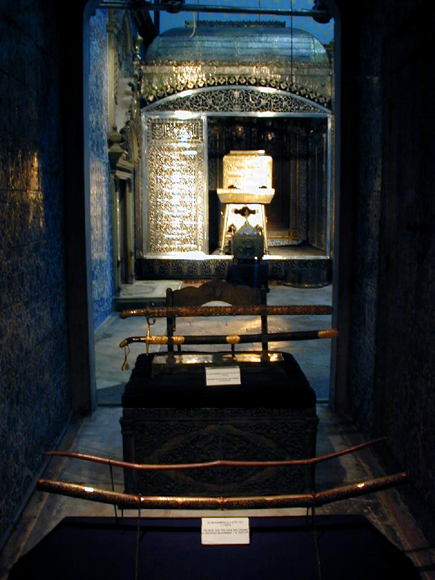 These belongings brought to Istanbul after the campaign of Yavuz to Egypt were displayed in the section called “Hall of the Priory Chamber (Has Oda)” of Topkapi Palace. After Holy Relics were placed here it was called “Pavilion of Holy Relics (Hirka-i Saadet Dairesi)” because of the cloak of Mohammad considered the most precious of these belongings. It is one of the most attractive sections of Topkapi Palace. The adornments are such that they are harmonious to the duty of protecting Holy Relics. 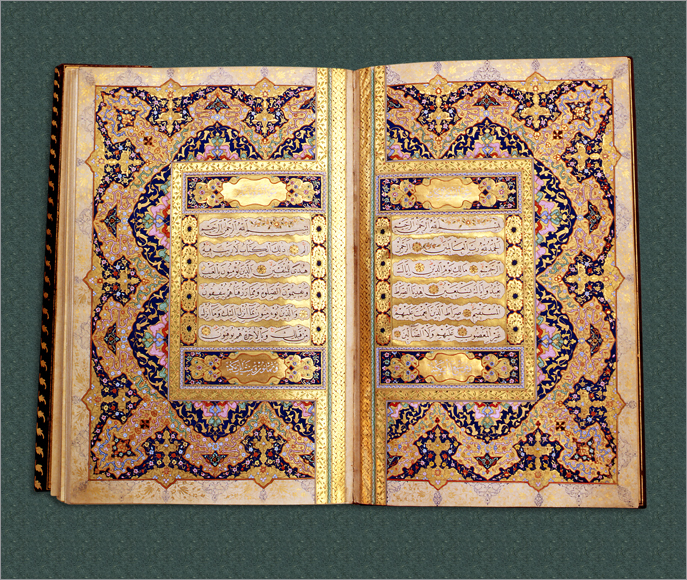 Koran was permanently read in the Pavilion of Holy Relics (Hirka-i Saadet Dairesi) in Topkapi Palace for 407 years, from 1517 till March of 1924, when Caliphate was abandoned. This duty was shared among twenty four people who have memorized the Koran in every one hour. The guardianship of this section was carried out by forty officers in high ranks who were under Enderun Priory Concierge whose rank corresponds to the rank of marshal. These officers called Hall of the Priory Chamber Aghas were directly subjected to the padishah. They carried out the act of cleaning, and sometimes the padishah joined them. Dust and stuff were kept in a special chest. These belongings preserved painstakingly and respectfully by Ottoman Sultans have been available for visiting since 1962 in Topkapi Palace. The cloak of Mohammad (Alaih Assalaam) which he took off from his back and gave to Ka'b b. Züheyr as a gift and which is called Hirka-i Saadet or Burde-i Saadet, some of the teeth of Mohammad that were broken during Uhud War, his banner, some hairs from the beard of the Prophet Muhammad preserved in diamond caskets, his footprints, his seal, his letters, his swords, his bows, the sections of Kaaba such as the renovated gate, lock, keys and gold chamfer, Koran which was being read by Osman (Alaih Assalaam) when he died a martyr can be considered among Holy Relics. 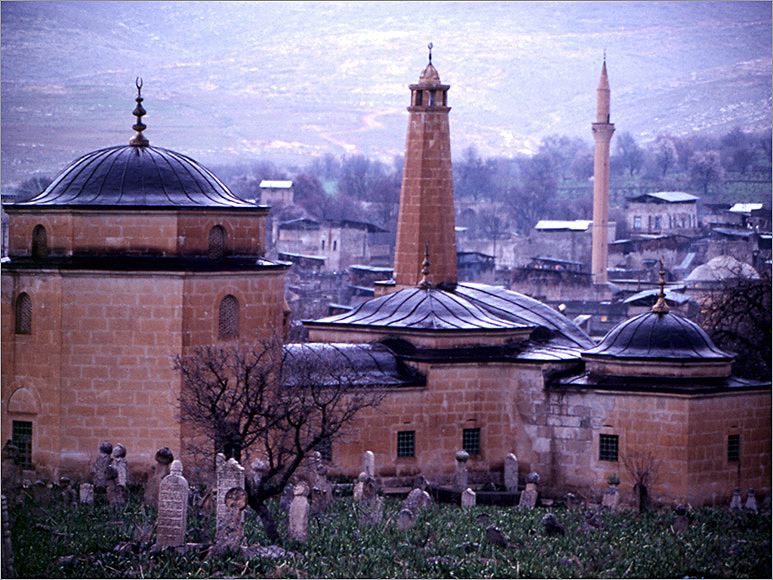 The most attractive Islamic places for worshipping, mosques and minarets are in Anatolia. Again all sides of Anatolia are embellished with theological schools, lodges, cupolas, small lodges, alms houses, hospitals and numerous religious constructions built by Muslims. Anatolia is an attractive region not only with its religious constructions but also with its exemplary lives addressing to hearts and visiting places of Muslim faith leaders who become immortal by taking everyone’s admiration. One of the religious gurus from Turkestan, Ahmet Yesevi, (died in the city Yesi in 1194) who guided his students by expressing human affection with his expressions such as “Do not offend anyone whether he is infidel or not. Because offending someone means offending God. When you see someone who is sad, who is miserable, try to help him, be his friend and helper” sent most of his students he educated to Anatolia. These students known as Khorasan Saints had many contributions to the introduction and spreading of Islam in Anatolia and these lands’ becoming the fatherland of Muslim Turks. These fellows of God each of whom had a craft and occupation, who lived on though their own efforts, who share what they had with those needing them and who did not take anything from someone else, who help anybody whether he is Muslim or not, who jolly people ad receive their friendships served for the development of Turkish as well as Islam through lodges, small lodges and associations they founded in Anatolia and lodge literature. Major leaders such as Mevlana Celaleddin-i Rumi, Haci Bektas-i Veli, Taptuk Emre, Yunus Emre, Ahi Evran followed Ahmet Yesevi in Anatolia and transferred the religion Islam, Turkish language, Turkish literature, culture to the next generations. The summons of these affectionate men to peace, fraternity, happiness, loves and friendship echoed not only when they lived but also echo today and people all over the world come to see their graves and places where they lived. And even places called “office” have been founded at places where their graves are not located in many parts of Anatolia in order to keep the memories of them alive and to express their affection toward them. Whatever you be, come again! Whether you are an infidel, whether you worship to idols or fire! Whether you have broken your forswearing for a hundred times, come again! This is not the gate of hopelessness! in a limitless toleration, understanding and love. Millions of people all over the world listen to the limitless and borderless call of Mevlana who opened different and new horizons to everybody and who showed the ways of fulfilling this in all of his works, especially in his work called Mesnevi that has six volumes every year. Mevlana who died on the 17th of December in 1273 and who saw death not as termination but as reaching the Dearest Lofty Creator and therefore called it as Seb-i Arus (Wedding Night) is commemorated between the 10th and 17th of December in Konya every year with different and interesting ceremonies. 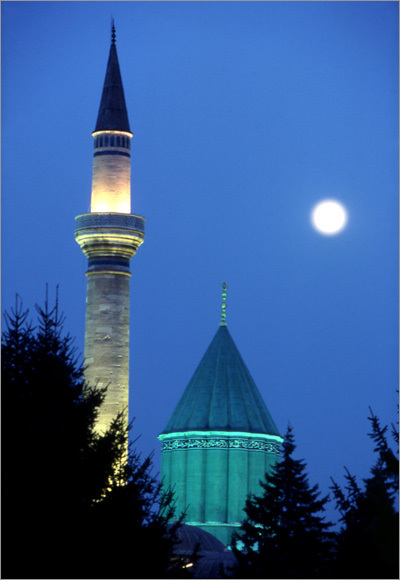 The green mausoleum of Mevlana taking attraction is the most popular construction of Konya. The lodge section connected to the mausoleum is used as a museum today and hosts hand writings of the works of Mevlana and a great variety of materials concerning this sect. The turning of whirling dervishes in white long dresses that is called “sema (sky)” and that represents being in a great way with love towards God and whirling with the cosmos with that love and that resembles a controlled trance constitutes a fascinating show for spectators. Mevlana, the Sultan of our Hearts, says “Come!” to you as well. 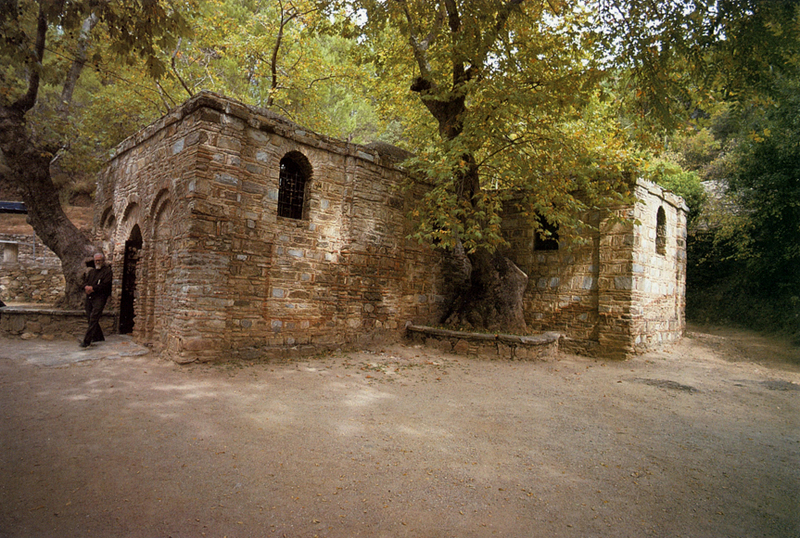 The grave of Yunus Emre, who received education at the lodge of Taptuk Emre and whose poems full of love, affection, friendship, fraternity messages still bears a great amount of value as in old days and who was the great Turkish poet of the 13th century is located in Yunus Emre Village (Sari Village) on the northeast of Seyitgazi in Eskisehir. UNESCO declared 1991 as the “Year of Toleration” and dedicated it to Yunus Emre. And the grave of Haci Bektas-i Veli, the founder of the sect Bektasi and the popular leader of Sufism in the 13th century, whose system of thought is based on rationality, knowledge, love, respect and equality and who esteemed women and supported their education and honored their status in the society is located in Hacibektas on the north of Goreme National Park in Nevsehir. There are a mausoleum, a mosque, a guest house, a kitchen and a wish tree in the Haci Bektas-i Veli Complex constructed in the 14th century and used as a museum today. “Control your hand, your tongue and desire!”, “Whatever you look for, look for in yourself!”, “The path which is enlightened by science is dark!” are some of the advices of this great scholar and wise that is transferred from one person to another. It is nearly impossibly difficult to count the names and places where graves of faith leaders are located let alone to introduce them who are in four sides of Anatolia. It may be an interesting experience to know these affectionate men more closely most of whose graves and offices you meet wherever you go. The Turks have lacked religious fanaticism since they appeared on the scene of history. Everybody could prefer whatever religion he wished. They were never hostile toward foreign nations and their religions, languages, cultures and customs and conventions. They never forced someone else to adopt their own language and religion. The Turks have dealt with Islam in a wide toleration frame and they have applied it in this frame. They have showed this toleration to both those who have been members of their own religion and to those who have been members of other religions as much possible as it is. Maybe because of this, they have been able to rule lands such as Anatolia in whose climate there have been friendship, love, peace and fraternity and the opposite components of these factors cannot take place. Ottomans also opened their gates to the Jewish who were under exile, pressure and torture many times and allowed them to live on their lands and saved them from experiencing a holocaust. Ottomans who seized Bursa in 1324 were as if a guardin of the Jewish who were under the pressure of the Byzantium Empire. The Jewish easily founded their socities under the rule of Ottomans and Etz Hayyim Sinanoglu was built under the permisison and support of Orhan Bey. 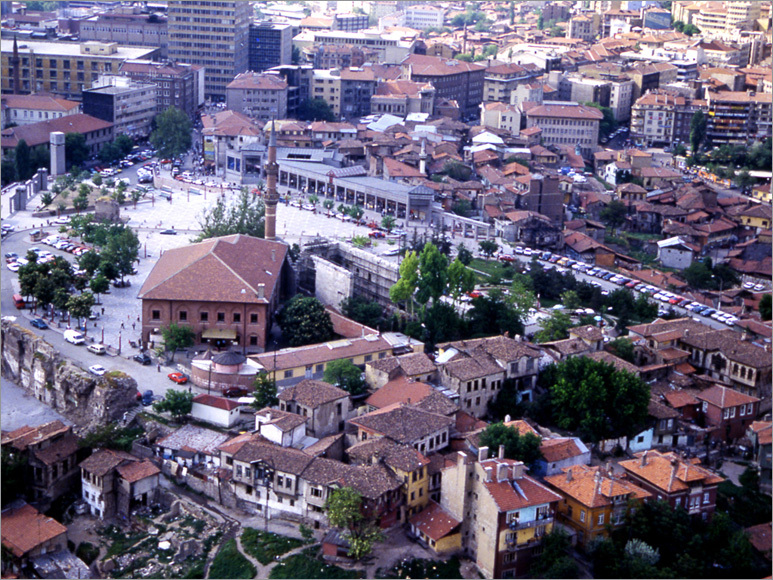 When Edirne became the capital city of the Ottoman Empire, Europen Jewish including Karait Jews immigrated here. The Jewish who were exiled from Hungary in 1376, France and Sicily in 1394 settled here and they attained safety here. Rabbi Izhak Sarfati adviced in the letter he sent to the Jewish societies in Europe that the Jewish should settle on Ottoman lands as they could only find safety and peace there in order to get rid of the pressure they experinced when they lived under Christian rule. When Fatih Sultan Mehmet conquered Istanbul in 1453, the Byzantium Empire met a Jewish society that was tired of their pressure. He gave necessary orders for enabling these people who welcomed him with a great love to live in peace. 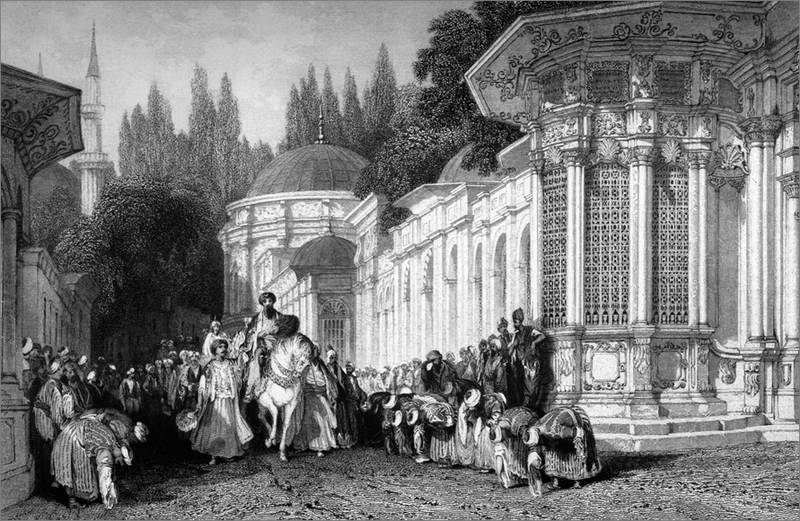 The Jewish who were exiled from Baveria took refuge with the Ottoman Empire in 1470. The fact that the Jewish people who were exposed to massacre and exile by Catholic states in Spain and Portugal settled on Ottoman lands during the reign of Sultan Beyazid II forms another example that shows how extensive the toleration of Muslim Turks was. The Ottoman Navy under the command of Captain Kemal took the Jewish and Muslims who were exiled from the country and who were able to be saved from the massacre to the Ottoman land by ships. Finally, many Jewish people who escaped from the Nazi cruelty in Germany before World War II could take shelter on the lands of Turkey again. Whereas the Jewish societies in many countries of Europe have lived with the fear of antisemitic racial attacks for centuries, the Jewish society in our country have always been in peace and safety. People with different religions and roots have lived in this country in peace, safety and comfort for centuries, though it is impossible in other places. Turkey has been a country of toleration where Moslem calls for prayers coexist with bell sounds and where minarets and towers extend into sky fraternally for centuries. You can see a church, a mosque and a synagogue, all of which are available for worshipping coexist in a 100-meters field if you pay a short visit to the district Ortakoy on the coast of the Bosphorus even today. This is the clear proof of toleration and harmony.